There are many reasons why a small business may feel changing accountant is the right course of action, whether your business has grown and changed, or your accountant’s business has. 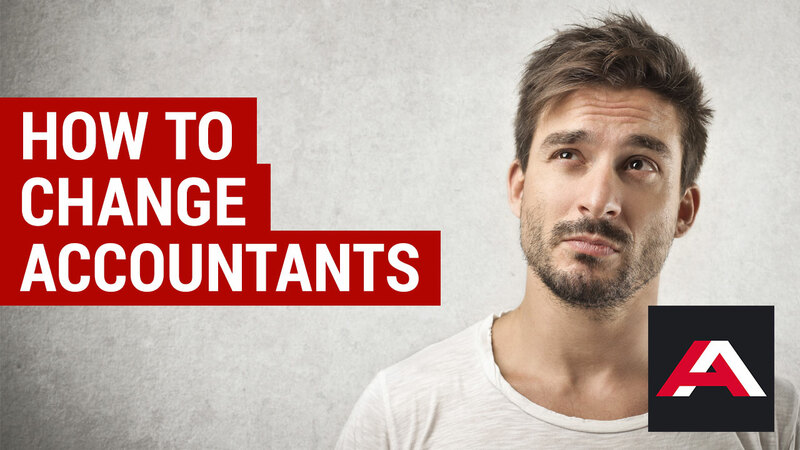 The process of changing accountants is actually a relatively simple one, contrary to what your current accountant may have you believe. Switching accountants can be done with minimal fuss, effort and disruption to your business. Are you getting value for money? If you don’t feel like you’re getting the level of service you’re paying for this can be a cause for concern. Do some investigating and see whether you could get a better deal and level of service elsewhere before making any decisions. Most accountants should publish their accounting packages on their websites. Do they understand the needs of your business? It is critical that your accountant fully understands what you, as a business, need from them and your plans for future growth. A misunderstanding can result in a misalignment between you and your accountant. Are your tax returns filed in good order and on time? As part of delivering a good service your accountants should always be ahead of the game. Asking you to drop everything to rush through a tax return is unacceptable – distracting you from your work and, most importantly, growing your business. Has your business outgrown your accountants? Business growth is one of the biggest reasons to move on from your accountants. At the first sign that your accounts are getting too complex for your accountants to handle it’s time to look elsewhere. Has your accountant outgrown you? In some cases it may be your accountant who has grown too big for you. If you’re beginning to feel like a number to a large firm of accountants then it may be time for you to move on. Timing: Changing accountants shouldn’t be a rushed process. Once you’ve made the decision think carefully about the most appropriate time for the handover between your previous and new accountant. Ideally this will take place when there is as little activity as possible happening. With this in mind opting to change at the end of your financial year would be one of those inappropriate times. Loose ends: Ensure all financial responsibility has been discharged, for example ensure all of your bills are paid and neither party is waiting on an action or payment. Disputes over unpaid fees is the most common and significant threat to the smooth transfer of business. Inform your current accountant – where possible, end things with your current accountant on good terms and let them know that you’re moving on, as this will make the whole process much smoother. You’ll need to grant them permission to speak to your new accountants in order to hand over any paperwork. Alternatively your new accountants can help you draft a letter of notice on your behalf. Disengagement letter – your current accountants will then need to provide details of the work they have completed so far, including key dates and information. This is known as a disengagement letter and is a professional document. Professional clearance letter – your new accountant will also need to write to your previous accountant. In this letter they will ask for professional clearance and request any relevant paperwork. They will also ask whether there is any reason they cannot take you on as a client – this is a formality and usually causes no problems. Your previous accountant may charge you a small fee for this service. Assigning authority – finally, you’ll need to assign authority to your new accountants for tax affairs, which means they can file returns on your behalf. At Approved Accounting in Havant we ensure the process of changing accountants is kept as simple as possible. Our aim throughout the process is to cause minimal disruption to your business – so don’t be put-off by the thought of the hassle changing could cause. As a UK top-rated accountancy practice our Chartered Accountants are on hand to provide you with the advice you need to change accountants – call us on 01730 823000 or Email Jon.